This is one more attempt of mine trying to preserve the ancient literatures. Its name is Arakanese Princess Aye Chun. Aye Chun is a type of poems composed by wise ministers of ancient Arakanese Kingdom especially sung for child prince and princess to let them asleep. 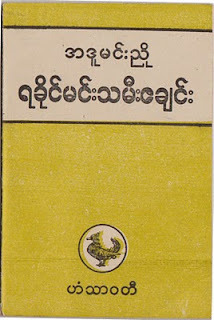 Arakanese Princess Aye Chun was composed by Adu-Mun-Nyo, minister of Arakanese King, Ba Saw Pru’s reign. It said that it was composed for daughter of Ba Saw Phryu. Unfortunately, until now nobody knows complete biography of Adu-Mun-Nyo. 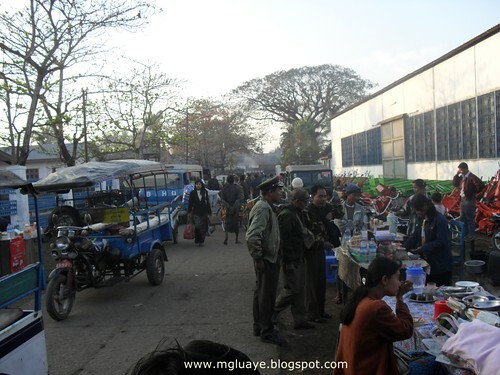 It was in February 2010, the time I visited back to Arakan, I went to A Tway Thit (New Idea) Bookstore in Akyab Market and search for some books that I wanted to buy. Since my childhood, I went A Tway Thit whenever I reached to Akyab. I found out a book called THE GOLDEN MRAUK-U written by U Shwe Zan. 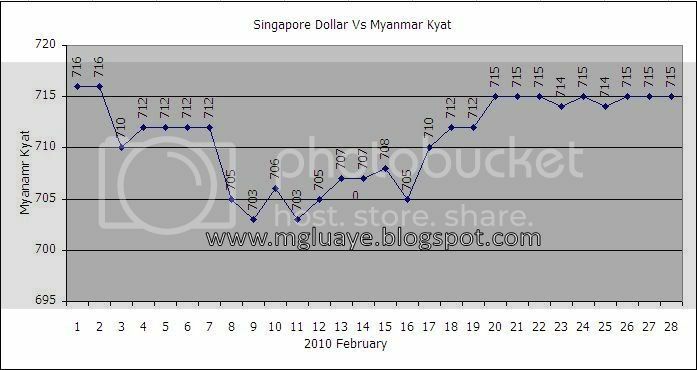 I bought that one with 15K kyats. Bookshop gave me back this Arakanese Princess Aye Chun as a gift for purchasing the GOLDEN MRAUK-U. Thank you so much A Tway Thit. 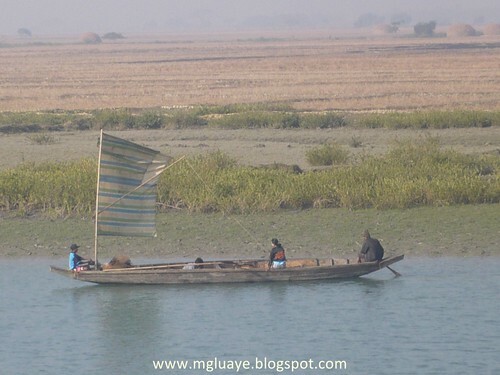 It's only forty nautical miles between Akyab (Sittwe) and Kane Thar (Rathedaung) and land miles distance is less than that, but sorry about that it takes three blog posts of photos. It is quite lucky that the camera I am holding was not too good enough to take professional photo. Whatever it is, the photos I took are just for remembrance of the land we have been apart for so long. As I mentioned before, most of the places didn't have much changes. It's still same like a decade ago. The local main transportation vehicle, slow moving Inland Water Transport vessels are also crowded and dirty like forever. 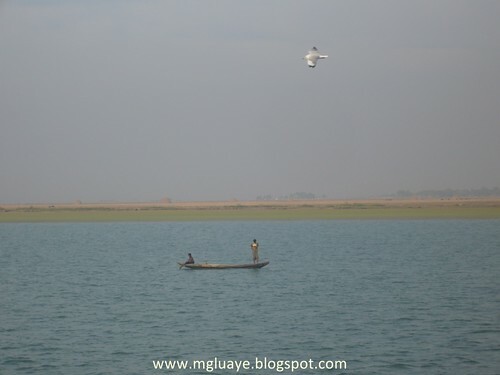 Here we have a photo of the Mozze Island which footprint of Gottama Buddha is situated. People from Arakan believed that it was one of the Buddha's footprints that he put it on the visit to Arakan as per invitation of Arakan King, Candrasuriya. 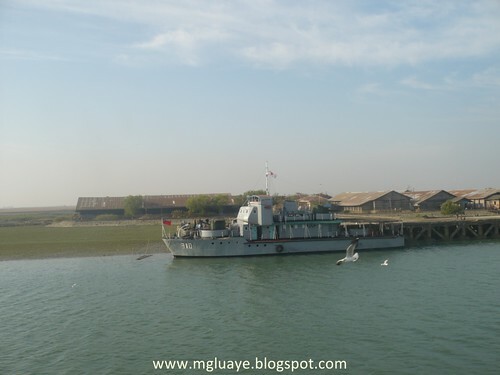 The transport ships between Buthidaung and Akyab stop twice a week at the jetty near that Parda Buddha's footprint and let the passengers to drop by and say to the prayer at that ordination hall that housed Buddha's footprint. But, Mgluaye was unlucky on that trip and didn't have a chance to go there and pay respect to it. After passing through Mozze Island, there is not much distance to Mayu river. 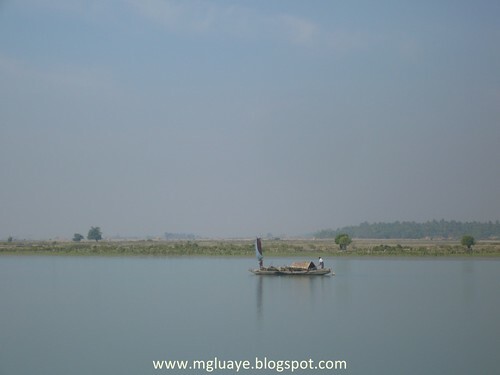 Coming out from Ku Daung creek, you can see Rathedaung Hill and Pagoda already. 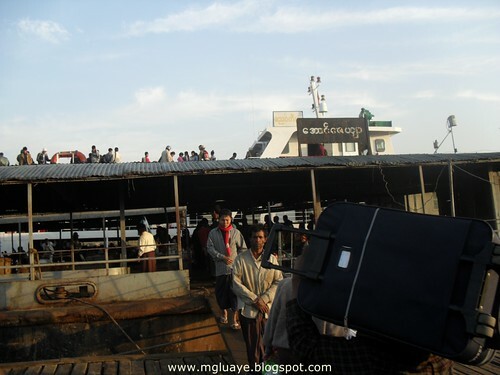 This is Rathedaung Jetty, as of ship will continue its trip to Buthidaung, people from Rathedaung come down to jetty and sell foods for passengers. It is quite dangerous to see them working for earning such small amount of money, but they are all skillful and quite safe. Now we reach to Rathedaung. As of I don't want a single post to be very long long post with so many photos, I divided posts into some photos in a post. 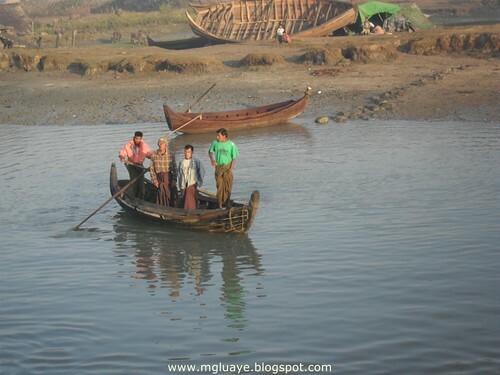 Here are some more photo of my Arakan trip. 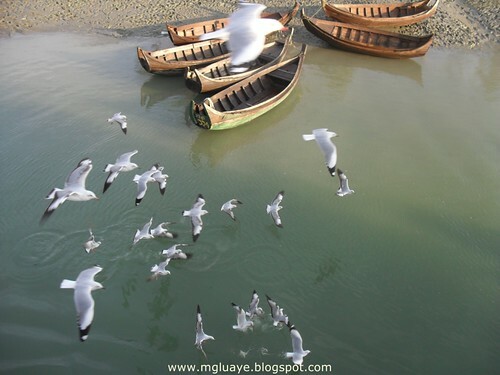 Here are seagulls that are trying to catch the foods for them. Let row together, it is sure we will reach our destination at one day. 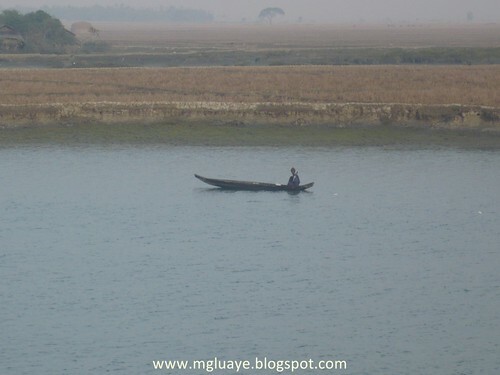 In certain kind of situation, we may need to be able to row alone to reach our destination. Loneliness is our partner at that time. Don't worry, our people are also using wind energy to go our trip. We used this kind of sustainable energy since before people noticed about global warming. 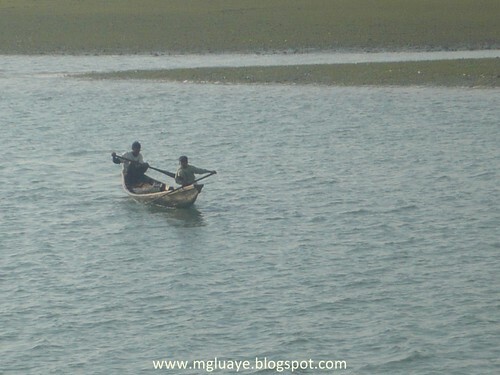 Youngest son at the head of the boat rowing to go faster, elder brother in front of him is baling out the water, father is guiding the direction of boat. 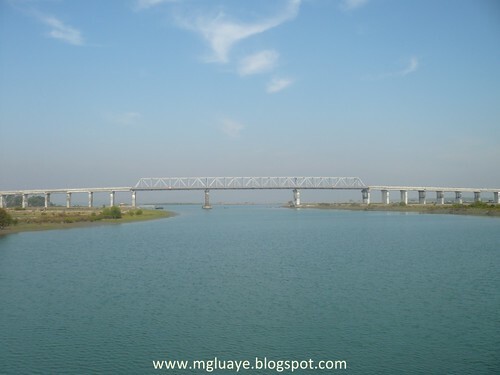 One of the handful of bridges inside Arakan, that is Mun Chaung Bridge, one of the main bridges on the Rangoon - Sittwe highway. It was early in the morning, and the weather was too cold. It has never been felt such cool weather more than a decade already. We woke up around 6:00 am and went out for breakfast. 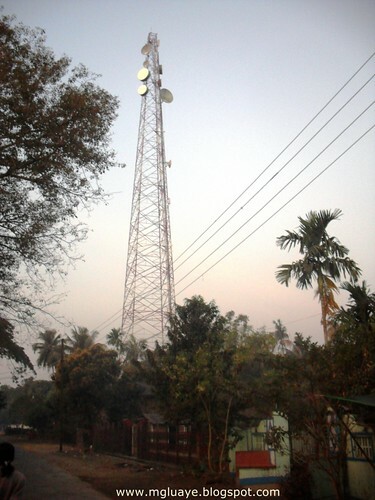 There was one of the tea shop nearby the telecoms: office of Akyab. It was so nice to have spicy Mont Ti in such cold weather. It made me sweat and warm up my body , and good for health also. We took three-wheeled vehicle, similar to Toke Toke of Thailand, to Akyab jetty. Akyab was just woke up. 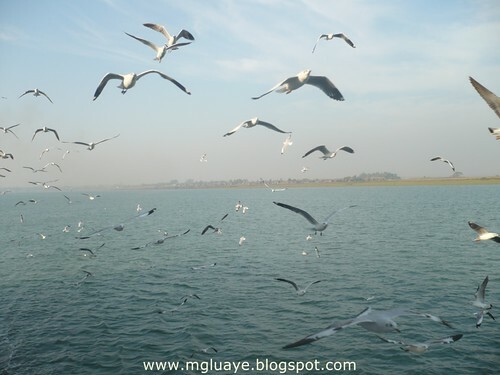 We were entering the boundary of Akyab Jetty area. 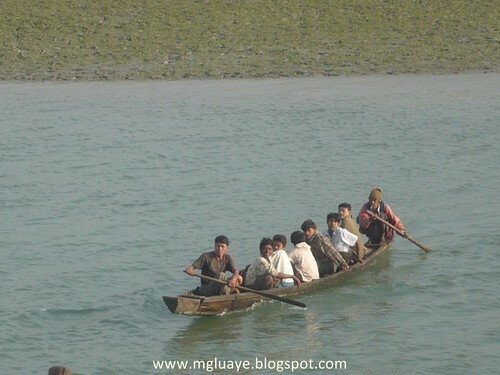 The three-wheeled motor-biked vehicle was becoming the main transport for the capital of Arakan state. Everywhere is still same conditions like a few decades ago. Who will believed that there was such kind of place unchanged for several decades? 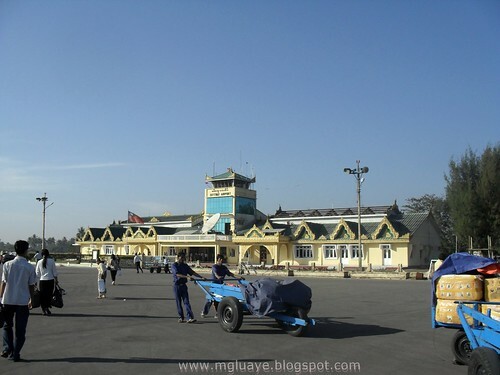 Can we say that we were preserving the Post World War II Akyab until to-date? 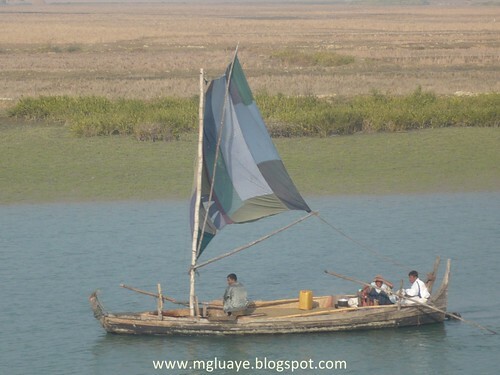 Here are another main transport vehicles of Arakan, known as Sampan. 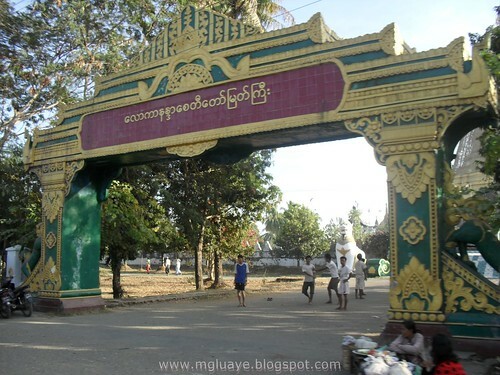 As of Arakan and Tanintharyi were occupied by British in First Anglo-Burmese War (5 March 1824-24 February 1826) earliest in Burma, there were so many adopted words from English language to Arakan. 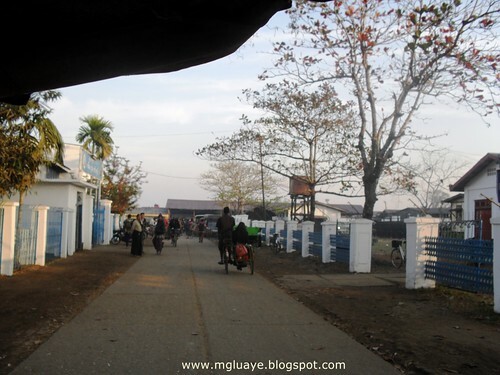 For example, hospital was called sick line, half cut barrel was still called drum in Arakanese also. 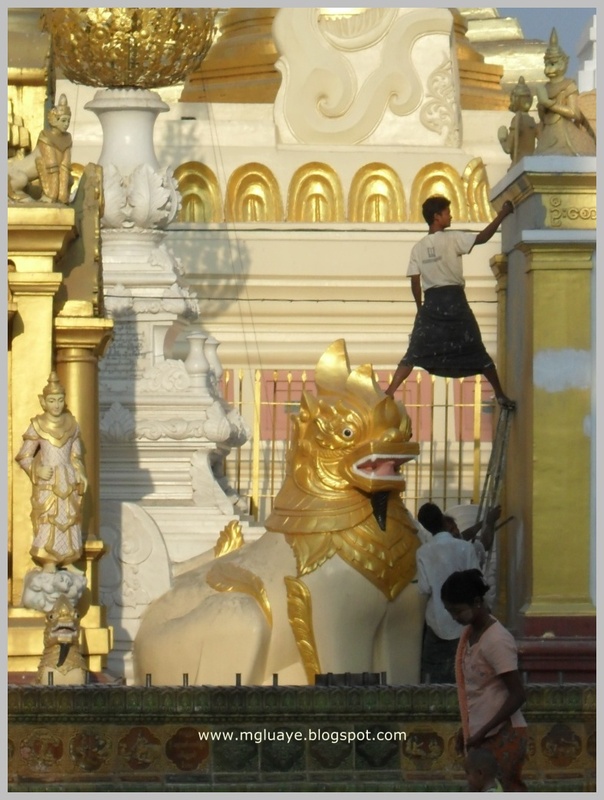 You can study a lot of words adopted from English language in A Guide to Arakanese Language. Behind there, you can see the traditional dockyard for big Sampan. 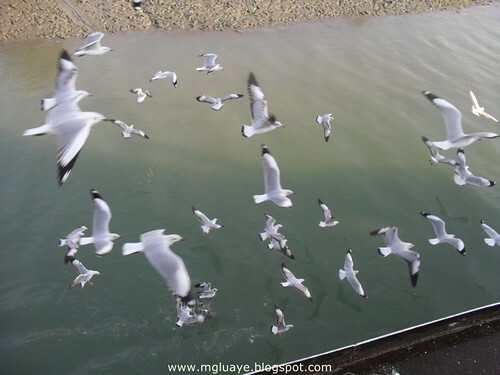 There were so many seagulls flying around our ship, you can buy and feed them from the ship also. 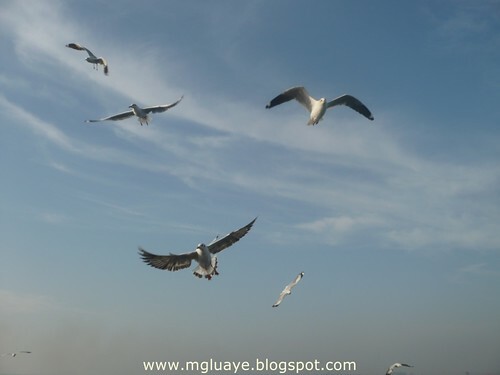 If you throw the food to them, they will fly around and catch that food skillfully. We have left Set Roe Gya Creek already. Now we were on Kaladan River. 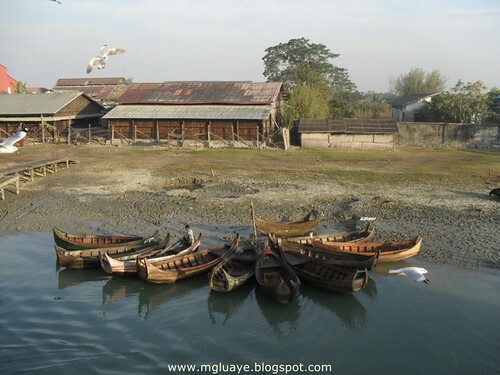 It is old name of capital of Arakan state (now Rakhine State), now known as Sittwe. It was more than a decade that I haven't been there. 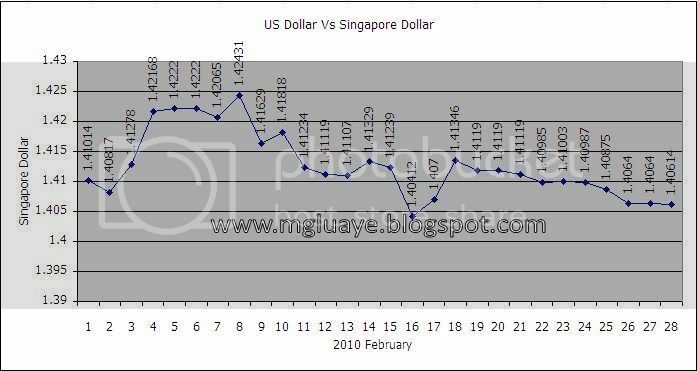 On February 2010, I reached back to there. Akyab is still same conditions like a decade ago. 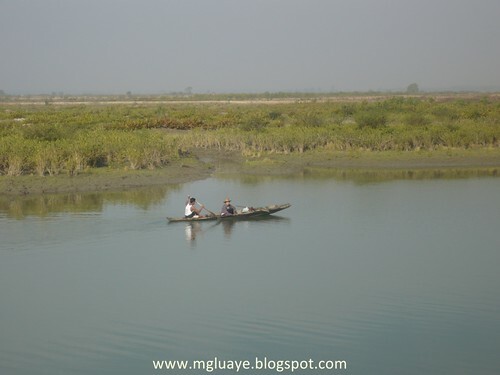 Here are a few photos I have taken in Akyab. Let start from Mingalardon airport, here we have one of MAI planes used for international airway travel, I thought it should be Airbus A310. 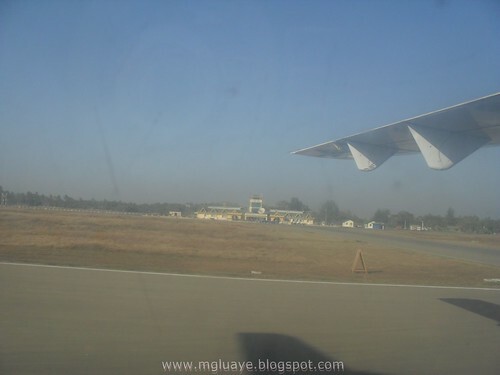 But, the plane I took from Rangoon to Akyab was not that one, it was just a Fokker F27 with engines with propellers. 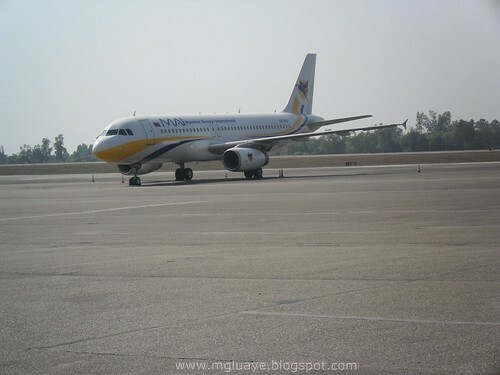 I was lucky on that day because I could take Myanmar Airways Domestic, and ticket fare was 50K from Rangoon to Akyab. The below one was meal provided on Myanmar Airways on plane. Here we go, I have touched down crescent land. 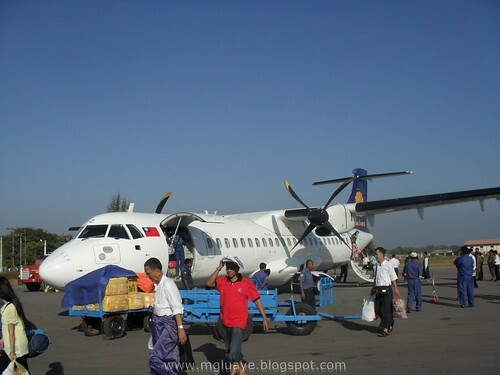 This is Fokker F27 that took me from Rangoon toAkyab. 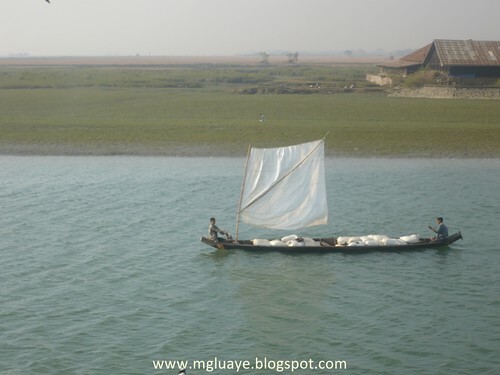 Akyab was still same appearance like a decade ago as I mentioned before, I could feel sea breeze that came from nearby Bay of Bengal. The roof of the airport building was undergoing renovation, so that you could see that some of the roofing plate were not there. Moat (entrance) to Lawkananda Pagoda, it was taken from the vehicle that I took from airport to downtown. 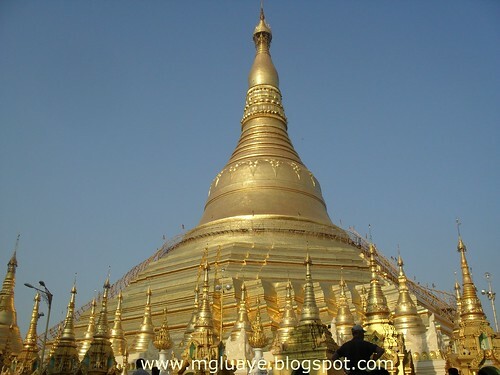 Sorry for that I couldn't take photo of pagoda itself. 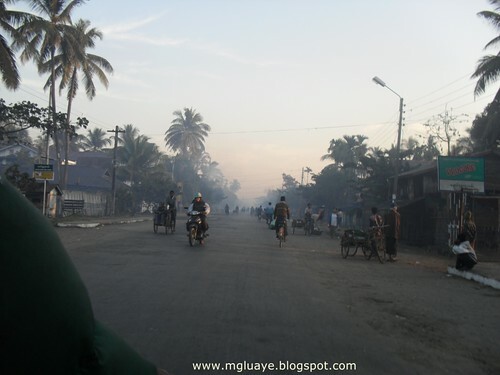 After reaching to Mya Guest House, I hired a motorbike and went down to Akyab Jetty to fetch one of my relatives. After that, we went back to Mya and went to Point. 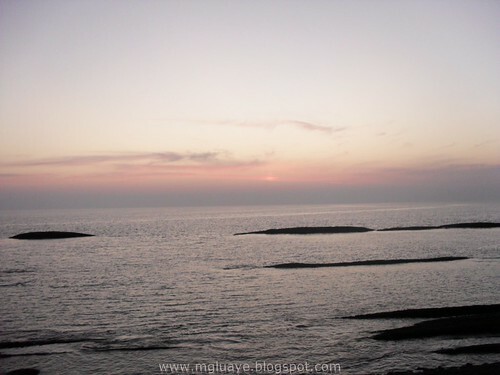 Unfortunately, the time we reached there, the sun went down to the sea already. But, I still took some photos. This is one of the photos I took there. 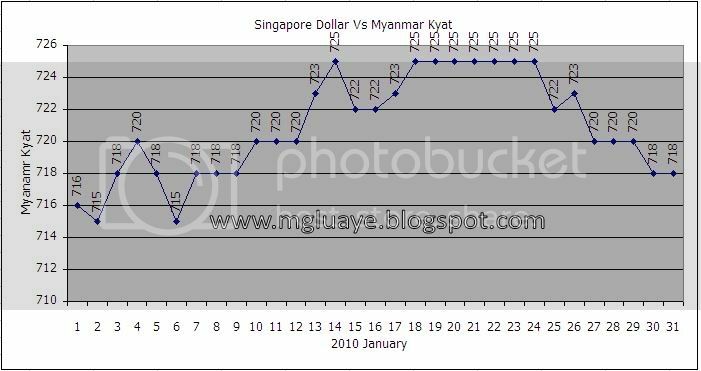 For the month of January 2010, the average exchange rate between SGD and Myanmar Kyat was 720.87097ks/SGD, reach highest up to 725ks/SGD on 14th, 18th, 19th, 20th, 21st, 22nd, 23rd and 24th of January and fell lowest until 715ks/ SGD on 2nd and 6th of January. 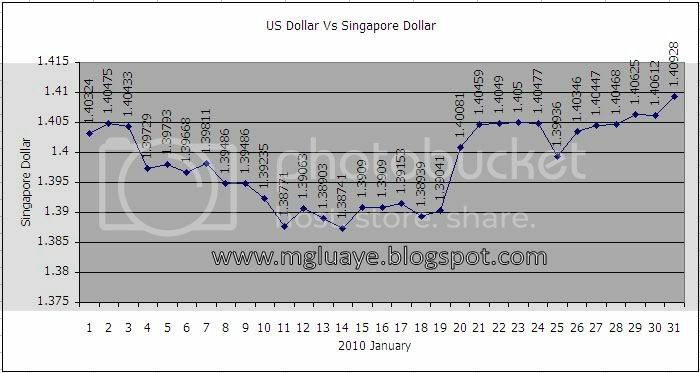 For USD vs SGD, the average rate for the month of December was 1.398258065 SGD/USD, highest 1.40928 on 31st of January and lowest 1.38741 on 14th of December. 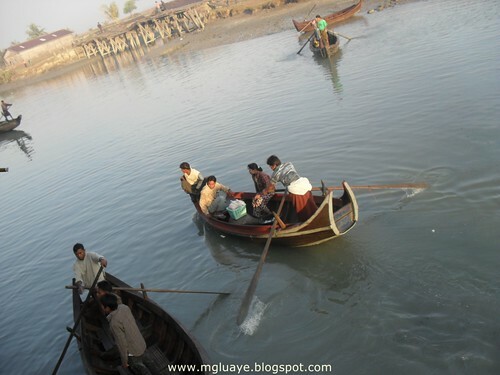 Last month, February, Mgluaye went back to Burma and visited home town. With one portable Samsung digital camera, a lot of photos had been taken all the way long. This is one of the photos I took. 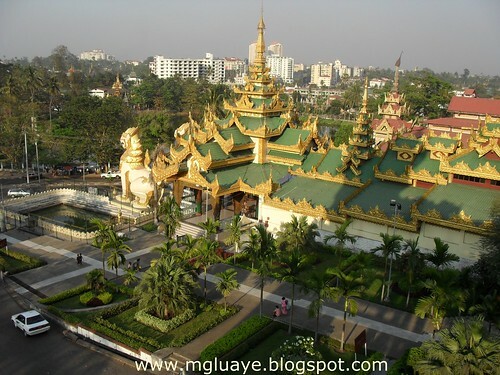 The place was at Shwe Dagon Pagoda. I'd like to choose this one as a photo of the trip.